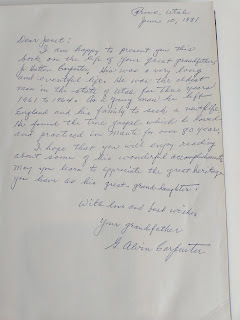 My father's father, George Alvin Carpenter was a great scholar. 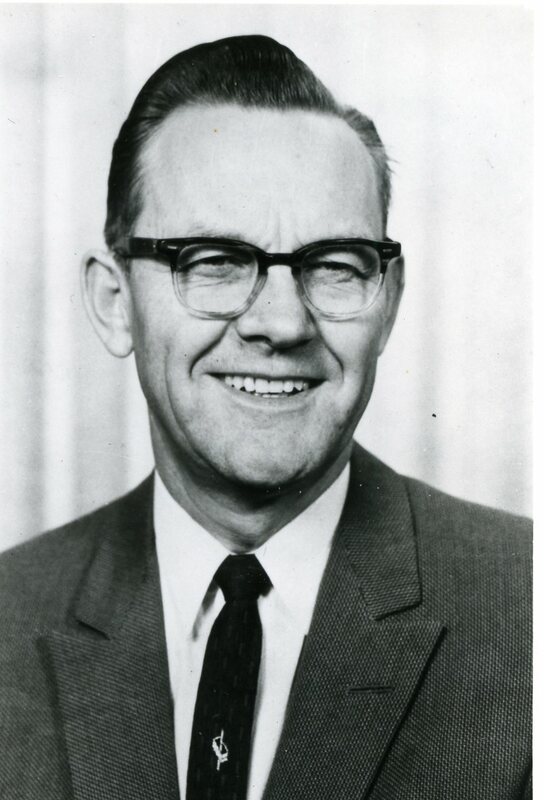 He was a university professor who spent his career at UC Berkley and then retired and taught 15 more years at Brigham Young University. He was an agricultural economist who helped rebuild the economy in Europe after World War II. He was involved in research and teaching his whole life. But he was not a genealogist. 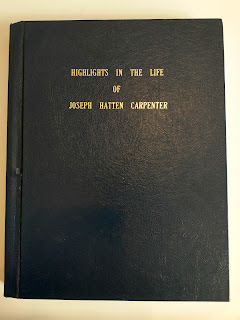 His father Joseph Hatten Carpenter was. Joseph was a prolific genealogist who I've written about before. I suspect that my Grandfather Alvin spent most of his life feeling that his father had done everything that was necessary with our family's history. I don't think he was really very interested. However, I do remember once, when I was about 7 or so, my Grandfather sat all of his grandchildren down on the swing on his back porch and told us about our family history. 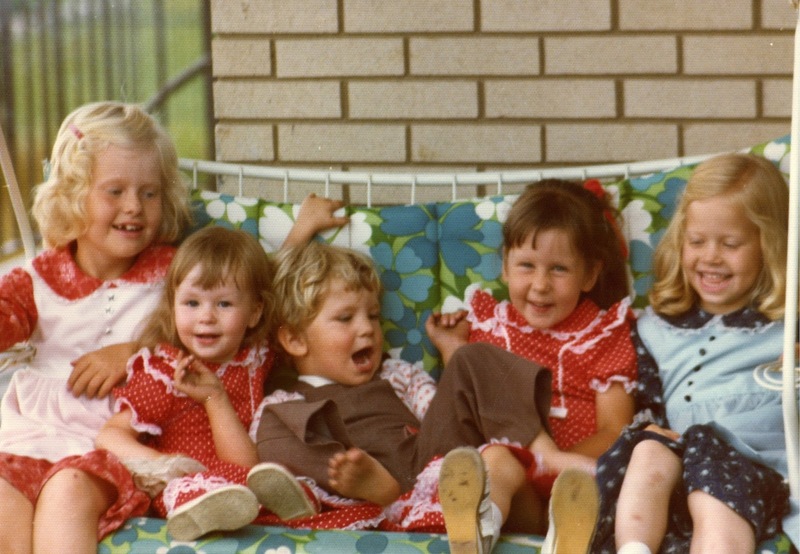 I was the oldest, my cousins were probably between 2 and 4 years old. I remember Grandpa was trying to tell us something important, but it was really boring. I didn't understand much. But I remember Grandpa was really proud of his heritage. About 1973. I'm on the left with my cousins on the porch swing. If my memory is right, this is the day my grandfather tried to tell us about our family history. Being a university professor, I know Grandpa was perfectly capable of real research and he could have been a good genealogist. However my Grandfather performed only one genealogical act in his life that I know of. 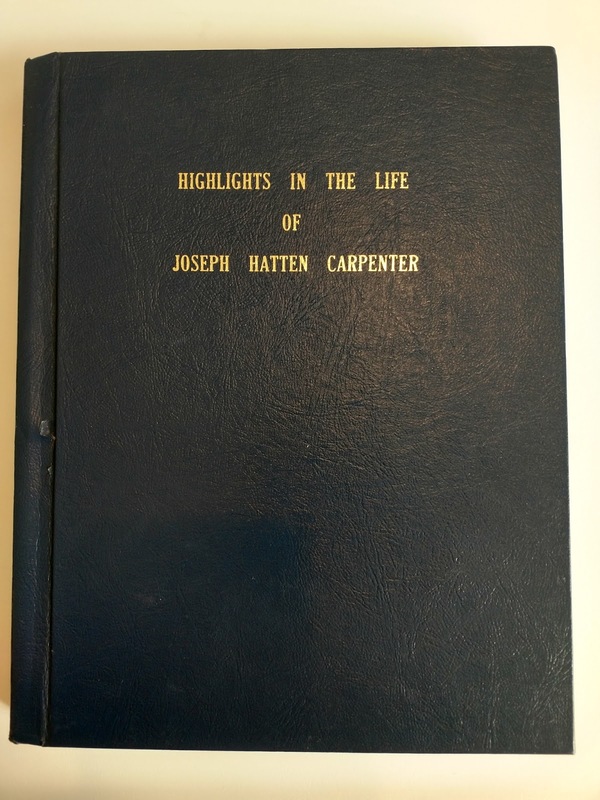 He wrote a history of his father, Joseph Hatten Carpenter--the genealogist. This book is only 145 one sided pages. But that one small act had a great impact on me. The book was published when I was 10 years old. Because I was one of the descendants, I got my very own copy. It sat on the little white bookshelf in my room and on quiet nights, I would pull it out, and read about Joseph. Even though I have many ancestors who were actually quite famous, Joseph was the one I knew the most about, and I became quite connected to him. 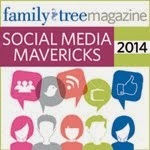 When the time came that I wanted to learn more about my family history, you can guess who I was connected to, and where I wanted to spend my time first. I've traveled to the family history sites and archives researching along this line and I've learned alot about my patriarchal family because of this small book my Grandfather wrote. Grandpa passed the year I turned 16. It is hard to quantify the effect he had on my life. Certainly my ethic for education came from him and that has been a huge influence in my life. I could go on and on about other things I've learned from him. But this small book has been a real treasure. 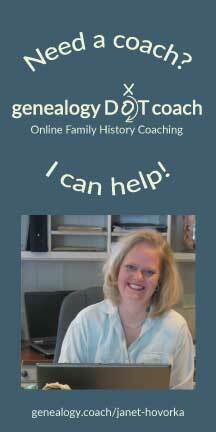 When I started lecturing at Family History Conferences, my very first lecture was "Where to Start When It Is All Done," I talked about the family history my Great-Grandfather Joseph collected and what I've been able to do with it. In that lecture, I often showed this book of my Grandfather's and talked about what an impact it had on my life and my family history work. Diving into Family History when alot of work has already been done is challenging--just like it was for my Grandfather Alvin. I tried to encourage the attendees by showing them his book and describing what an impact it had on me. I told them that if they only accomplished one thing, it would be worth it in the lives of their descendants. According to my records, I've given that lecture 34 times from coast to coast and my copy of Alvin's book has come along with me. I hope that you will enjoy reading about some of his wonderful accomplishments. May you learn to appreciate the great heritage you have as his great-grand-daughter. 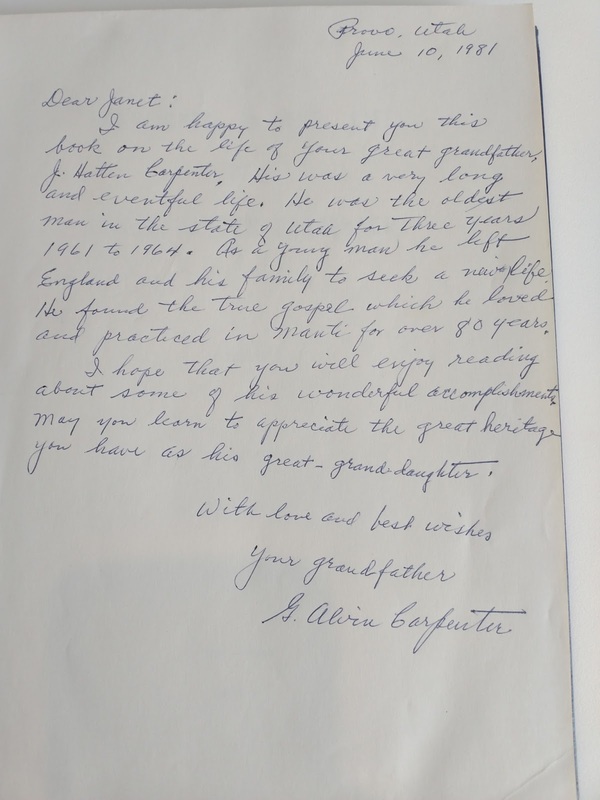 With love and best wishes, your grandfather, G. Alvin Carpenter. When they gave it to me I just cried. It was like a pat on the back from my Grandfather for the work that I have put into this industry, trying to help people with this important work. I felt like I had been fulfilling my Grandfather's wishes, to learn about our amazing heritage and honor his legacy. And even though he never saw it in this life, I had learned to appreciate this history that was so important to him. Had I always had this copy of the book, I don't know that it would have had such an impact on me. So you never know... you never know where the trail of breadcrumbs will lead your descendants. How blessed I am for the people who went ahead of me and blazed that trail.